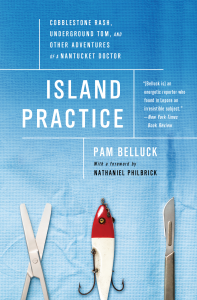 Summer seems the right time for reading Island Practice, a book about a surgeon who lives and works on Nantucket. This engaging work profiles a craggy, eccentric and trusted doctor who, by circumstance and availability, takes care of many people on the island with all kinds of ailments – physical, psychological, minor and life-threatening. The story, now available in paperback, offers a window into the year-round experience of living in a small offshore community. The book probes the relationships formed when a doctor is immersed in his community. There are few secrets. As reported by the detail-oriented Pam Belluck, a NYT journalist, Dr. Tim Lepore arrived on Nantucket in early 1983 with his wife and children. Over time, the people who live there got to know his politics, habits, pet interests and political views. As described, the Harvard-educated, Tufts-trained Lepore is a gun-collecting libertarian. He practices medicine with old-fashioned attention to each patient, variable billing and a conscience that makes it hard for him to leave the island. Lepore takes pride in his work, knows the limits of his knowledge and surgical skills, and cares. He treats famous Democrats with summer homes, businessmen stopping by on yachts, or hermits hiding out in well-furnished holes in the island’s woods. It’s refreshing to read a story of a physician who practices on his own terms, who manages to set his viewpoints apart from his work. 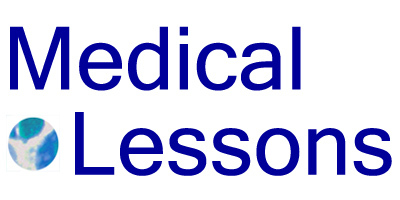 That’s how I was trained to practice medicine, and to what I aspired in my practice, years back – to treat each person the same and carefully, no matter what their background and opinions. So unlike the Florida doctor who, during the health care debate was reported to have posted a sign on his door that Obama supporters should seek care elsewhere. And so much like the Palestinian surgeon portrayed in a film I saw recently, the Attack, who worked to heal wounded Israeli trauma patients. Good medical care is apolitical. I suspect many of my readers – patients and physicians – would enjoy this worthwhile book and perspective on an unusual doctor’s life. And on that note, I will close out this blog for summer. I couldn’t contain my wondering self. “What is the purpose of the picture?” I asked. I thought about it. My picture is pretty much public domain at this point in my life, a decision I made upon deciding not to blog anonymously. Besides, most everyone at the medical center used to know me, including the receptionists, janitors, cafeteria cashiers, nurses’ aides, social workers, deans, full professors, geneticists, fellows in surgery and old-time voluntary physicians, among others who work there. So why didn’t I want this unidentified woman who works in my oncologist’s office to take my picture? It made me uncomfortable, and here’s the reason: My picture is a reminder that, without it, I might be like any other patient in the system. They (administrators?, nurses, other docs, maybe even my future doctors) will need or want the picture to recall and be certain who Elaine Schattner is. Don’t get me wrong. I agreed to the photo after all of maybe 20 seconds deliberating. (And my doctor was, I soon learned, duly informed I’d “had an issue” with it. Was that for just asking the reason?) The unidentified med-tech person used an oddly small, ordinary pink camera to complete her task. When I met with my doctor, she explained that the photo is for security and, essentially, to reduce the likelihood of errors. The hospital has records of so many thousands of patients, many who have similar or identical names. There are good reasons to make sure that your notes on “Sally Smith” are entered into the chart of “Sally Smith” who is your patient. It’s understandable. I remember when at the nurses’ station there’d be a sign (on “our” side) saying something like “CAREFUL: Anna Gonzalez in 202, Alma Gonzalez in 204b,” or something like that. It’s hard, veritably impossible, for most doctors and nurses to keep mental track of all of the patients they’ve ever seen and examined. There’s utility in the new system. Yes, it’s a good idea for a doctor, say upon receiving a call from a woman she hasn’t seen in 3 or 6 or 9 years, to see her picture in the chart, as a reminder. But I hope my doctors know who I am, and not just what I look like in the image. The Times ran an intriguing experiment on its Well blog yesterday: a medical problem-solving contest. The challenge, based on the story of a real girl who lives near Philadelphia, drew 1379 posted comments and closed this morning with publication of the answer. Dr. Lisa Sanders, who moderated the piece, says today that the first submitted correct response came from a California physician; the second came from a Minnesota woman who is not a physician. Evidently she recognized the condition’s manifestations from her experience working with people who have it. The public contest – and even the concept of using the word “contest” – to solve a real person’s medical condition interests me a lot. This kind of puzzle is, as far as I know, unprecedented apart from the somewhat removed domains of doctors’ journals and on-line platforms intended for physicians, medical school problem-based learning cases, clinical pathological conferences (CPC’s) and fictional TV shows. In this example, the patient’s diagnosis was known, and treatment successfully implemented, before publication. Surely the Times legal team carefully reviewed those scanned commercial lab reports with the wiped-out patient’s name and address, and likely they got the OK from the patient and her family to run the story as they did. There were sufficient details included that she’s likely identifiable to some people in her community. The case is instructive at many levels: It’s not just about the girl and her symptoms and her disease, and how doctors think, but about how the population of New York Times readers approached it over the course of 24 hours. A question an editor, if happy with the “results” – i.e. the on-line turnout (clicks, emails, tweets…) and lack of flak – might ask is what sort of case to use next week or next month, and how perhaps to improve on the presentation. The question I ask as a physician is this: why we don’t have this sort of crowd sourcing for tough, unsolved medical cases? Privacy is an obvious concern as is, perhaps, physicians’ fear of missing something or being wrong. Also, if a diagnosis isn’t already determined, the responsible doctor might end up (and likely would) order more tests and, perhaps, harm the patient by chasing zebras and heeding some well-intentioned but absurd or simply wrong suggestions from a diverse collection of world-wide readers. So there would be a problem of “too many cooks” among other issues. On the other hand, a single physician dealing with a challenging case would have, potentially, access to the expertise of millions of people, perhaps a few who have genuine insight and have seen a rare situation before. Doctors needn’t think in silos. I’ll be staying near my home in Manhattan this week. But if I did have plans to travel by airplane for the holiday, I think I’d be apprehensive about the new screening procedures implemented by the Transportation Safety Authority (TSA). My concern is not so much with the scanners. (For a detailed review of these machines, I recommend this article in Popular Mechanics.) There are two types of scanners in current use: millimeter wave machines, which use radio-frequency waves to generate 3-D images, and back-scatter units which, by design, use low doses of x-rays to visualize what’s inside a person being scanned. Rather, I’m worried about screening errors – false positive and false negative results, and about harms – physical and/or emotional, that patients and people with disability may experience during the screening process. In the context of travelers’ screening, a false positive occurs when an examiner thinks he or she sees or feels something abnormal – say a weird expression on a passenger’s face or when an initial, low-threshold alarm goes off somewhere in the system – but the person isn’t carrying any dangerous or contraband items. That early, false positive signal puts the traveler through extra procedures, possible embarrassment and/or stress. A false negative happens when a screener misses an explosive device or other harmful material. A good example is the so-called Christmas bomber, who last year got through airport security and boarded a plane with explosives effectively hidden in his underwear. In that December 2009 instance, the examiners failed to identify a passenger who carried a potentially lethal weapon. The TSA’s goal should be to minimize the number of false negative screening tests. That’s because we wouldn’t want someone to get through screening and board a plane while carrying a weapon. The problem is that it’s easy to imagine an imperfectly-trained, inexperienced or just plain tired screener missing an irregularity in someone’s 3-D or other kind of whole-body image, especially in the context of a steady stream of passengers rushing to catch flights. The operators might miss weapons despite the visual “information” available, right in front of their eyes. So I don’t object to the new technology, which should increase the accuracy of the screeners’ function. Ultimately, though, we can’t get around the fact that TSA employees are human and some will be nearing the end of their shift; the scanners can reduce but not eliminate these kinds of errors. My second concern is with the potential harm to patients and people with disabilities. People may be harmed physically if, for example, a screener mishandles a pump or other device. There’s been a lot of attention to one recent report, that of a 61 year old man with a history of bladder cancer whose urostomy bag ruptured during an airport pat-down. The man described his urine spilling, and his feeling humiliated. This is a very understandable reaction; as someone who has implants after mastectomies, and who carries a lot of internal metal hardware in her spine and elsewhere, with scars galore, I know how damaging can be a stranger’s scrutiny. Unlike doctors and nurses, most TSA employees are not accustomed to seeing colostomy bags, stumps and other disfigurements usually hidden under a person’s clothing. Even an accidental, unkind expression in a look-over, or an insensitive pat-down, could make a person feel pretty bad about their ailment. Of course we don’t have to travel on airplanes. I don’t see this as a civil rights issue; I don’t think there’s a right to board a public vehicle without full screening if the TSA deems it’s necessary for public safety. Rather, I accept that an aspect of having illnesses is that sometimes you have to put up with things other people don’t experience. What would help, clearly, is better sensitivity and training of TSA staff, as was considered in response to the urostomy incident. But given the huge volume of travelers and enormousness of our complicated transportation system, it seems unlikely we’ll get a satisfactory solution among all staff at all airports, at least not in time for Thanksgiving. From the patient’s perspective, there are some practical points that might help. Amy Tenderich, at Diabetes Mine, offers tips for individuals with insulin pumps. Trisha Torrey has an interesting piece on her Patient Empowerment blog (where she argues that this is not an empowerment issue) and recommends a simple, common-sense approach, which is to arrive early at the airport. As for me, I carry cards indicating the dates of my surgeries and the nature of my hardware. Now, I’ll add to those a note from my doctor. Meanwhile I hope the screeners will use their new equipment to do a better job at detecting people carrying weapons. And that those individuals who plan to boycott the scanners with a National Opt-Out Day tomorrow, will change their minds. The TSA employees have enough on their hands already, without a demonstration; it’s in everyone’s interest that the screening be effective, hopefully 100 percent, in this holiday season. I fear this post may be a bit of a downer for some e-health enthusiasts, Internet addicts and others who might otherwise follow @medicallessons, but after nine months of “studying” medicine on Twitter, I’ve reached the conclusion that it’s probably not a good idea for most practicing physicians to use 140 character Web-broadcasted messages for communicating with or about their patients. Sorry if I’m ruining a tweetchat, tweetup or doctors’ virtual party somewhere. I just don’t think these belong in the doctor’s office or, especially, in the O.R.